Kang Haggerty & Fetbroyt, a boutique business litigation firm with offices in Philadelphia, PA and Cherry Hill, NJ, congratulates Henry Donner, Of Counsel, for once again being selected among the top ranked construction lawyers in Pennsylvania in the 2018 edition of Chambers USA: America’s Leading Lawyers for Business. In the August 21, 2017 edition of The Legal Intelligencer, Henry Donner, Of Counsel at KHF, and David Dean, an associate of the firm, write on the Practitioners’ Guide to Navigating New Mechanics’ Lien Law Amendments. Pennsylvania’s Mechanics Lien Law of 1963 was amended in late 2014 to require the commonwealth’s Department of General Services to create an internet-based State Construction Notices Directory. As required by the law, the directory went live on Dec. 31, 2016, providing a standardized, statewide, internet-based system for construction notices. This statutory scheme imposes new requirements on project owners, contractors, and subcontractors, compliance with which can drastically affect those parties’ rights under the Mechanics Lien Law. 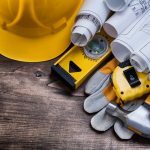 Practitioners representing any of the traditional parties in a construction matter should be sure to familiarize themselves with these new provisions, and advise their clients accordingly. Kang Haggerty & Fetbroyt is pleased to announce that Henry Donner, Of Counsel, has been selected for inclusion in The Best Lawyers in America 2018, one of the most respected peer-review publications in the profession. 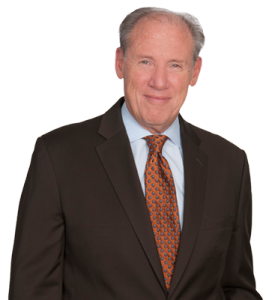 Donner is once again named to the list for his well-regarded construction law practice. Kang Haggerty & Fetbroyt, a boutique business litigation firm with offices in Philadelphia, PA and Cherry Hill, NJ, congratulates Henry Donner, Of Counsel, on being selected as a notable practitioner for construction law in the 2017 edition of Chambers USA: America’s Leading Lawyers for Business.